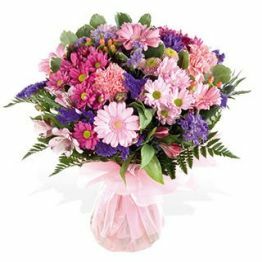 A fantastic bouquet of stunning pastel colours for that fabulous friend. This item can only be delivered to United Arab Emirates. Free & Fast Delivery to United Arab Emirates in 1-2 days, but please allow up to 3 days, if you would like free delivery on a certain date, Mon-Fri, please add this date to the end of the gift message.